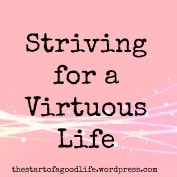 I have been thinking and praying over the topic for this month’s Virtue series. A few days ago, a word stuck in my mind – Listening. As a society we don’t listen anymore – not an active listening that shows respect, interest and value in what the other person is saying. That fact has been touted for years, so i’m sure that it doesn’t surprise you , but have you (we) done anything to improve our own habit of not-really-paying-attention? Now, I don’t know if you thought this when you read that but I pictured cell phones. Don’t worry, I’m not going to go on a tangent about how we need to turn our phones off and pay attention to our lives – we really do need to though – for that is just another aspect that has helped us in this downward spiral that people as a whole have been on for generations. Just last night I was telling my OH how I have some relatives who, when sitting down to dinner, they wait until all are ready and then begin and no one leaves the table until everyone has finished. Being the slowest eater at almost every table, I appreciate this small courtesy. What does that have to do with listening? Well, I linked it in this way – being willing to wait until everyone is done at the table before leaving shows respect to each one there. In the same way, actively listening to those around you shows the same respect, but perhaps in a higher way. How many arguments/disagreements have you had because one of you didn’t truly listen to what the other said? Sometimes it is because our own way of thinking got in the way, “they said this so they must have meant this.” and so begins the hurt and frustration and lashing out. When they were actually trying to give a compliment, ask gently for something or so on. Our past experiences, even going so far as to our childhood, affect how we hear. Do you have trigger words? I once sat down with my OH and wrote down the words that instantly cause our stress levels to shoot up – I had a decent sized list sad to say, while he had only one. Which, in some ways, is worse I believe, depending on the word. But it can be just a simple choice of words that can make me irrationally mad. But by knowing those trigger words, I am able to recognize them and mentally take a step back – often avoiding an argument. I highly recommend anyone doing this quick process – it helps you know yourself better and inproves your listening skills. If you would like, feel free to check out the other studies – Virtue , Hope , faithfulness, hospitality, authenticity and wholesome speech and expectations. There is no specific order for this study! A few ‘boring’ things before we get started – I will get all my meanings from dictionary.reference.com unless otherwise stated. For my verses, I will be using my Complete Jewish Bible, unless otherwise stated. to give attention with the ear; attend closely for the purpose of hearing; give ear. Each one of these verses speaks on doing, not just hearing His word. Now, this being a study on listening, how does this apply? LISTEN to His word in the way that it reaches your heart and mind, not just your ears. Hear His commands so deeply that they turn to actions. If we do this, we will be blessed – not in the way of the world, but in God’s way. We will grow in His wisdom. If we are actively listening, it is rather difficult to be talk,talk, talking. The first verse convicts me a little for I know how guilty I am of this, even if it is only inwardly where I stop listening in order to get my answer ready. And how often I realize too late that my answer no longer fits with what they were saying! Exactly what the verse says is what happens – shame, embarrassment. If we learn to listen all the way through what the person says, we will understand them better and will gain wisdom over time. By keeping our mouth closed, and our ears open, we show that our faith is true. We show respect for others and humility. If we do not – the opposite is true. 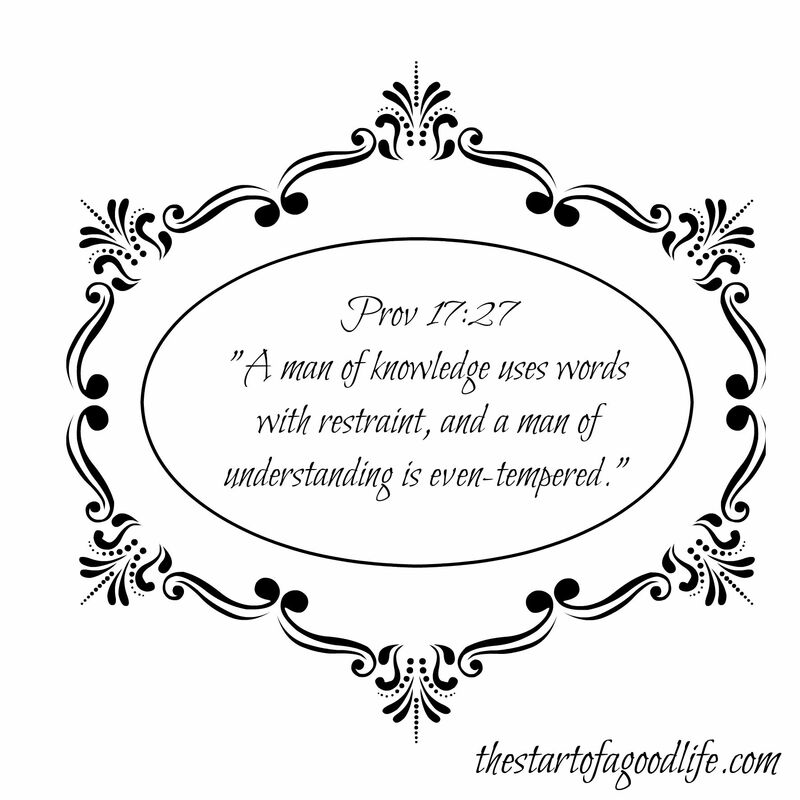 The Proverbs verse reminds me of a character in one of the novels I recently read – he was known as a man of God, a man of wisdom. He knew God’s word, he knew to wait on the Lord for what to say. Even knowing he was not real, I longed to talk with him. Don’t laugh! I longed to be close to someone so in tune with the Lord and His word. The verse in James is often quoted for a reason – if we followed these instructions more closely, our relationship with the Lord, and with those around us,would be much deeper – and our example as believers would be so much more impactful. I hope you have enjoyed this study with me and as I said above, do check out the other studies in this series – Virtue , Hope , faithfulness, hospitality, authenticity and wholesome speech and expectations. My family has been blessed with good listeners as well as talkers! When all are gathered for a meal, no one is leaving the table as they are too full, and usually awaiting dessert. I have friends who rarely have family meals and the children are usually fed first and then the parents fix a meal for themselves. I find that odd. hopefully they balance each other out, eh? I’d say my family is mostly talkers, with some exceptional listeners thrown in. isn’t it interesting how varying each family can be? when my hubby and i have kids i want us to have at least one sit-down meal together each week. Listening is definitely a faulty point of mine! Isn’t it so easy to hear only the bits ‘pertinent’ to the moment, Adriana? Sigh. I have a feeling it will be something I will be working on for the rest of my life.